This country house (approx. 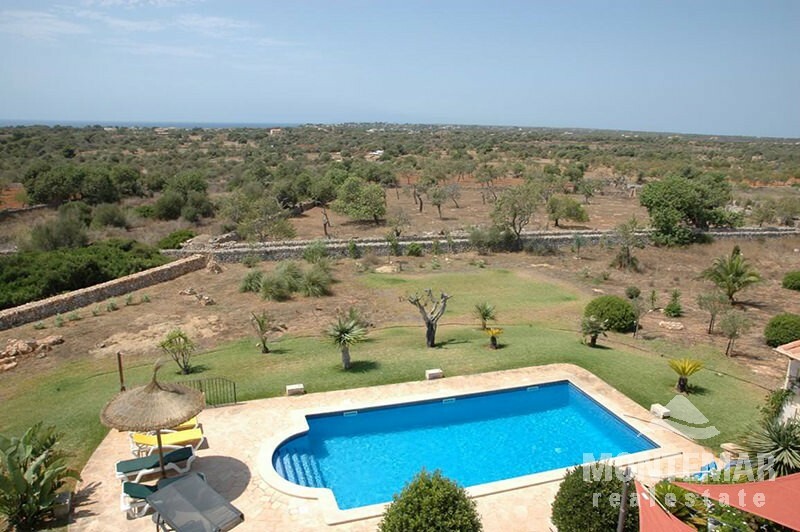 400 m²) in rustic style was completed in 2007 with good quality materials on a plot of approx. 17,000 m². Ground floor consists of reception area, living room with fire place, dining room, kitchen, 2 bedrooms and 2 bathrooms, office and garage. The first floor offers 3 more bedrooms with bathrooms en suite as well as a large covered terrace. The outdoor area offers various partly covered terraces, a pool with pool house and outdoor kitchen including BBQ, all surrounded by a nice Mediterranean garden. 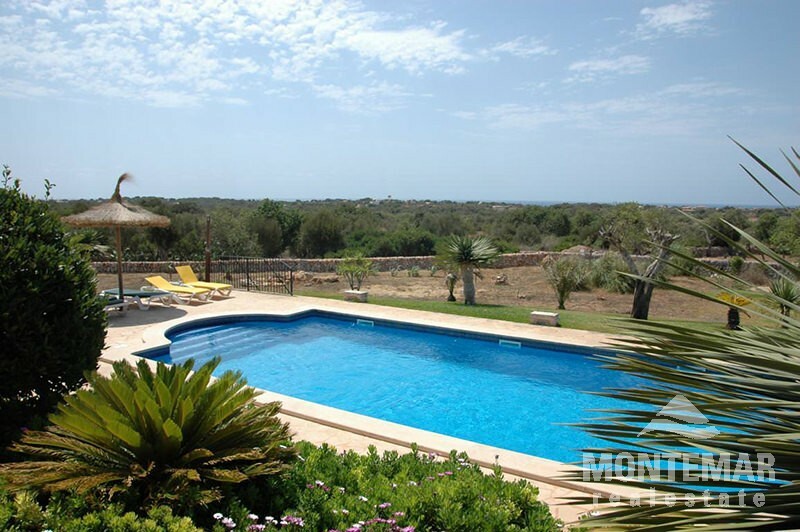 Country house with sea view, situated within the triangle formed by Santanyi, Cala Figuera and the beach s’Amarador.